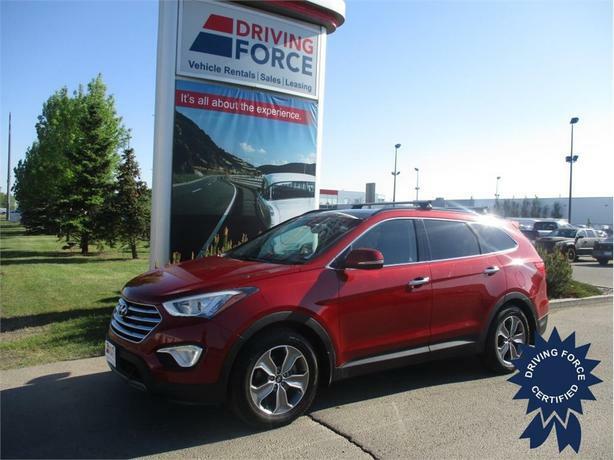 If someone tells you about a crossover utility that offers a decent amount of luxury, loads of features, astonishing amounts of performance, and also does so without breaking the bank, you can believe that they are really talking about the 2013 Hyundai Santa Fe. This model benefits from a 3.3-liter V6 that produces 290 hp and 252 lb-ft of torque. The front seats are pretty comfortable for longer drives, with enough adjustments to accommodate drivers of all sizes. Second-row passengers will also find the quarters to their liking, with a wide range of recline angle and plenty of head and legroom for the average adult. Squish into the leather seats today and we are very confident you will want to take this ride home.